It is nearly one month since Hao Wu was detained without charge. 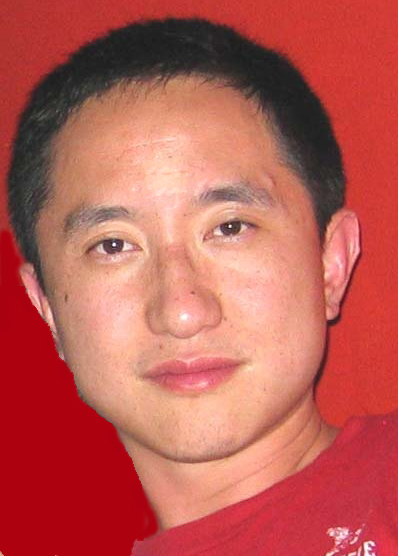 We appeal to the Chinese government for Hao Wu’s immediate release! Hao had also been in phone contact with Gao Zhisheng, a lawyer specializing in human rights cases. Gao confirmed to one of Hao’s friends that the two had been in phone contact and planned to meet on Feb. 22, but that their meeting never took place after Gao advised against it. On Friday, Feb. 24, Hao’s editing equipment and several videotapes were removed from the apartment where he had been staying. Hao has been in touch his family since Feb. 22, but judging from the tone of the conversations, he wasn’t able to speak freely. One of Hao’s friends has been interrogated twice since his detention. Beijing’s Public Security Bureau (the police) has confirmed that Hao has been detained, but have declined to specify the charges against him. Hao began his filmmaking career in 2004, when he gave up his job as a senior product manager at Atlanta-based Earthlink Inc. and returned to China to film Beijing or Bust, a collage of interviews with U.S.-born ethnic Chinese who now live in China’s capital city. Before working for Earthlink, Hao worked as a product manager for Internet portal Excite from 2000 to 2001 in Redwood City, CA Before that, Hao had also worked as a strategic planning and product development director for Merchant Internet Group, an intern for American Express Co. and a molecular biologist with UCB Research Inc.
Hao has also been an active blogger, writing as “Beijing Loafer” on his personal blog, Beijing or Bust, named after his film. Due to Chinese government internet blocking of his blog hosting service Blogger.com, he also has a mirror version of the site on MSN Spaces. In early February Hao began contributing as Northeast Asia Editor to Global Voices Online, an international bloggers’ network hosted at Harvard Law School’s Berkman Center for Internet & Society. Writing under the pen name Tian Yi, Hao’s contributions aimed to bring citizens’ online voices from China and the rest of North East Asia to readers in the English-speaking world. Why didn’t we speak out about his detention earlier? Hao’s family and friends inside China do not want to be interviewed directly by the media at this time, and thus we will not provide journalists with their contact information. This website will be updated regularly with new information that emerges about Hao’s situation. All further queries can be e-mailed to: freehaowu@gmail.com.